Chris Cloudman was appointed to Seat 4 of the City Commission in September of 2014. Chris was born in Boynton Beach, grew up in Port Orange, and moved back to Florida in 2008 from Arizona, settling in DeLand. Chris received B.S. from the University of Florida and his MBA from Stetson University. 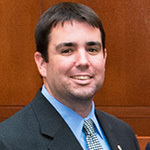 In addition to serving on the City Commission, Chris’s government experience includes work with the Florida League of Cities, the River of Lakes Heritage Corridor Management Entity, the River to Sea Transportation Planning Organization, and the Planning Board for the City of DeLand, to name a few highlights. He is also active with the Rotary Club of Downtown DeLand, the YMCA Camp Winona Advisory Board, and other civic organizations. Chris is employed as an Energy Specialist with Cenergistic, and his past experience reflects his interests in education, youth, and the environment. He enjoys attending community events with his wife and family, exploring city roadways and trails on bicycle, and volunteering at local charity/fundraising events. Luther F. Davis III is a physics and astronomy teacher at Lake Mary High School who relishes over-the-top teaching techniques and athletic endurance practices. His students have learned science by smashing cinder blocks over his chest while he’s lying on a bed of nails, constructing a 1200-pound medieval siege throwing machine, and building a 10-hp lawnmower engine-propelled hovercraft. He is a recipient of the Presidential Award for Excellence in Science and Mathematics Education who often finds a way to blend his professional teaching and personal athletic pursuits. His penchant for open water distance swimming allowed him to illustrate the journey of a raindrop along the St. Johns River from his residence in Central Florida to the Atlantic Ocean near Jacksonville. 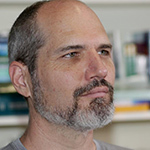 Jason Evans is an Associate Professor of Environmental Science and Studies and Faculty Director of the Institute for Water and Environmental Resilience at Stetson University. As a native of Central Florida, Dr. Evans has long enjoyed—and worked to protect—our local springs, rivers, lakes, estuaries, wetlands, and upland natural areas. Trained as a geo-spatial and systems ecologist, most of his recent and current research has focused on sea-level rise planning across the southeast United States. But over his career he has engaged in a wide range of other research studies that, while topically unique and conducted at quite different spatial scales, are linked by their direct relevance to public policy debates and evaluation of management interventions. Some examples include investigations into algal overgrowth triggers within different Florida springs systems, water quality impacts of homeowner landscaping choices in urbanized estuarine watersheds, and various ecological consequences of land use conversions associated with national-scale energy policies. 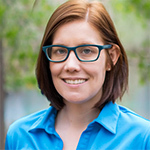 Since 2015 Dr. Evans has also served as Co-Editor-in-Chief for the Journal of Environmental Management, one of the world’s premier publications within the fields of environmental science, engineering, and planning. Casey Fitzgerald is the Director of the Springs Protection Initiative at the St. Johns River Water Management District based in Palatka, Florida. Previously, he served in Tallahassee as Bureau Chief of State Lands Management in the former Florida Department of Natural Resources and as Assistant Director of the Florida Conservation Association. He subsequently served in numerous senior manager positions with the water management district overseeing regional ecosystem restoration programs for the St. Johns River, Indian River Lagoon, Lake Apopka and other stressed waterbodies. 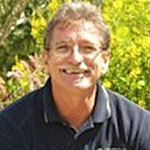 Casey received his Bachelor of Science in Zoology from the University of Florida and Masters of Public Administration from Florida Atlantic University’s Center for Urban and Environmental Solutions. Melissa Gibbs has been interested in marine biology since watching a National Geographic special on deep-sea hydrothermal vents when she was 13. Her bachelor’s and master’s degrees were earned on the central California coast, at the University of California, Santa Cruz, and San Jose State University’s Moss Landing Marine Labs, where she focused on deep-sea fish sensory systems. She attended the University of Delaware for her Ph.D., where she studied the visual systems of goldfish, and followed that with a post-doc position studying the lateral line system in fish and amphibians at the Scripps Institution of Oceanography. Since arriving at Stetson, Dr. Gibbs has focused her research interests on spring fish ecology, particularly the biology and impacts of a non-native armored catfish. Most students in Dr. Gibbs’ lab study some aspect of catfish biology, or the effects of toxins (drugs or environmental chemicals) on amphibian development. 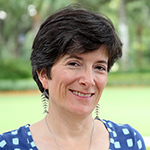 In addition to teaching and research, Gibbs directs the aquatic and marine biology program and curates the Stetson University Natural History Museum. Saundra Gray served two terms on the St. Johns River Water Management Board, after being appointed by Democratic governor Bob Graham and reappointed by Republican governor Bob Martinez. She also served on the Federal Reserve Board in Jacksonville and in Atlanta. Saundra and her husband Charlie have been married for 63 years and among other adventures, they circumnavigated the globe on their sailboat, the Sea Gem, and ran a cattle ranch at Gemini Springs, raising purebred Santa Gertrudis cattle. Although Gemini Springs is now a state park, Saundra continues to be active in the leadership of the Santa Gertrudis breed associations and as a director for Santa Gertrudis Breeders International. She has also served on various Volusia County agricultural advisory committees. She and Charlie were the first couple to receive the prestigious LeRoy Collins award. Saundra has also been active in the Epilepsy Association of Central Florida since its founding 50 years ago. She and Charlie have been blessed with three children, four grandchildren, and one great grandchild. 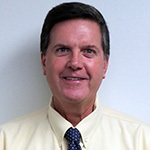 Mr. Hamstra received his Bachelor of Science in Civil Engineering from the University of Florida in 1984. 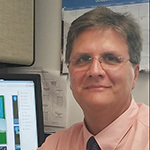 During the past 33 years, he has devoted his career to stormwater management and water resources with emphasis on addressing flooding and water quality issues for numerous cities and counties throughout the state of Florida. Clay Henderson fell in love with the St. Johns River and Florida’s springs as a freshman at Stetson in the 1970s, and over a long career as an environmental lawyer has been a zealous defender of Florida’s special places. Now, at the helm of the Stetson Institute for Water and Environmental Resilience, he continues to be one of Florida’s leading voices in environmental policy. 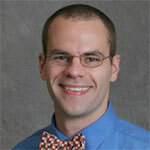 Clay’s work at the Institute focuses on land and water conservation and restoration research and policy development. He sponsored or co-authored most of the natural resource protection provisions in the Florida Constitution, including Amendment – the largest voter-approved conservation funding initiative in our nation’s history – and the creation of the Fish and Wildlife Conservation Commission. He led the development of nationally-recognized land conservation programs, including Volusia Forever (1986 and 2000), Florida Communities Trust (1990), Preservation 2000 (1991) and Florida Forever (1999), and has negotiated more than 300,000 acres of lands now part of national and state parks, forests, and wildlife refuges. He is also a former Chair of the Volusia County Council, and a past President of Florida Audubon Society and Florida Trust for Historic Preservation. He has received numerous awards recognizing his commitment to public service and the environment. He received a B.A. in Political Science/History from Stetson University and earned his law degree at Cumberland School of Law, Samford University. 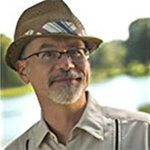 For more than 25 years, Orlando author, historian, and graphic designer, Rick Kilby, has studied Florida history and helped clients present historical topics in interesting, visual ways. Kilby participates in an ongoing multimedia collaboration with Lesley Gamble and John Moran, the Springs Eternal Project (springseternalproject.org), an evolving series of creative partnerships drawing together a diverse community of springs scientists, researchers, artists and advocates. 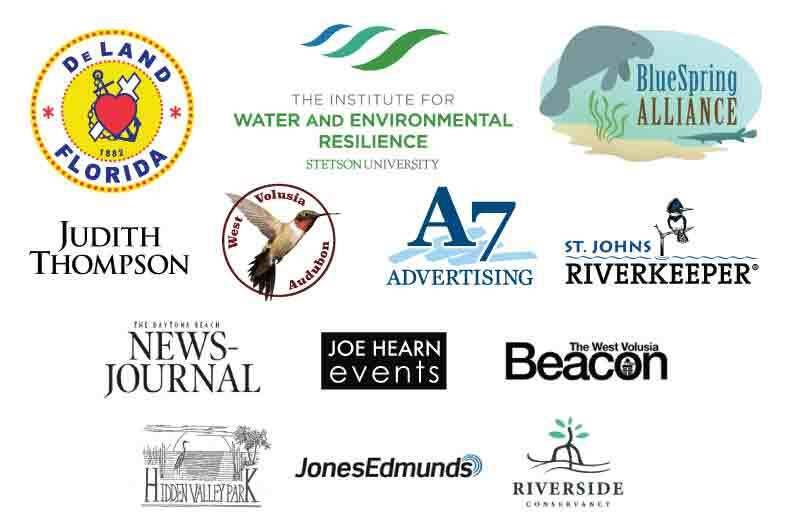 The project’s goal is to inspire Floridians to value our springs and the diverse ecosystems they support as fundamental to the health and wellbeing of human and non-human Floridians alike; to redefine these relationships in socially just and ecologically sustainable terms; and to work collaboratively to conserve, restore and protect Florida’s precious waters for future generations of all species. 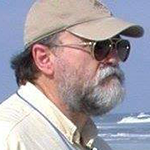 Stephen S. Kintner – Professional Geologist, retired in March 2010 after 20 years as Director of Environmental Management for Volusia County. In recent years Mr. Kintner has focused his attention on water conservation and water supply issues. In retirement Mr. Kintner serves as the Conservation Chair of the West Volusia Audubon Society and spends much of his time working on Audubon issues and volunteering at the Lyonia Environmental Center. 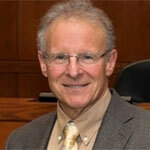 He is also Vice Chair of the Blue Spring Alliance and Chairman of the Volusia County Smart Growth Review Committee. He continues to promote conservation issues. Mr. Kintner holds a Master’s in Resource Planning from Missouri State University, as well as undergraduate degrees in geology and economics. Katrina Locke manages Green Volusia, the county’s sustainability program, which includes the county’s Sustainability Action Plan, and also oversees the Lyonia Environmental Center (LEC), Sea Turtle Habitat Conservation, Manatee Protection Plan, and outdoor education programs. Katrina is actively involved in Florida Green Building Council’s Education and Green Local Government committees. 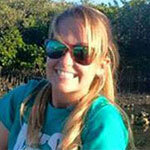 She is also a member of the Florida Sustainability Network and the Southeast Sustainability Directors Network. Previously, she managed the Lyonia Environmental Center from conceptual stages to operation. 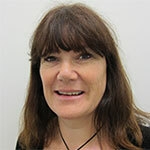 Katrina has a Master of Business Administration degree from the University of Central Florida and a Bachelor of Science (honors) degree in Marine Biology from the University of Wales, Bangor. Jo Ann Macrina is the Deputy Director of Utilities for the City of Daytona Beach. She received a BS in Civil Engineering from the University of Texas in Austin and a MA in Public Administration from the University of South Florida in Tampa and is a registered engineer in Florida and Georgia. She has more than 30 years in Water Resources, transportation, regulatory compliance, and development spanning both the private and public sectors directing several departments with revenues up to $600M and a $1B CIP. 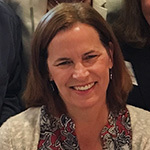 Her achievements include initiating and directing a $300M deep rock tunnel, six miles of permeable paver project for flood reduction and system capacity increase, cloud analytics for spill reduction and operational efficiency, successful compliance with consent decrees, multiple urban flood reduction projects, combined sewer separation, model green infrastructure program, WRC headworks replacement, decommissioning of a 1910 wastewater treatment plant, multiple educational campaigns, several award-winning watershed improvement projects, complex bridge upgrades, a roundabout, and 2 bond rating increases resulting in $20M annual savings. Ms. Macrina was awarded Engineer of the Year in Government by the Georgia Engineering Alliance in 2014, was appointed by the Governor of Georgia to be on the Advisory Board for Erosion and Sedimentation Control, on the Board of Directors for NACWA and US Water Alliance, and currently a member of the Florida WateReuse Board. 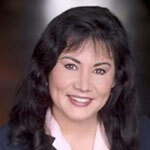 She recently became an ASCE Fellow. Heather received an Honors Certificate in Environmental and Earth Law during her time at Barry Law, and was selected as the Environmental and Earth Law Student of the Year by her law school professors. She is a member of the Florida Bar and been an active member of the environmental community with various non-profit organizations. She served as the Outreach Director for Florida Springs Institute and has also served on the Board of Directors of the Silver Springs Alliance (2015-2018). 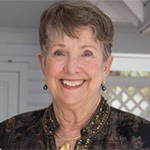 She has also served as a member of the Blue Spring Alliance Steering Committee and currently serves on the Board of Directors for the Florida Springs Council as the Secretary-Treasurer and Education and Communications Committee Chair. Mrs. Lisa Marie Prescott, speaking on behalf of Florida Onsite Wastewater Association, is a certified environmental health professional in onsite systems. She is also a secondary teacher in science and mathematics. Keith Riger is a professional engineer who has been responsible for construction of more than 100 governmental capital projects, as well as maintenance, operations, renewal, and replacement of public infrastructure for local governments in Florida and Georgia. He serves as DeLand’s Director of Public Services in charge of the public works, stormwater, utilities, engineering, and airport divisions. 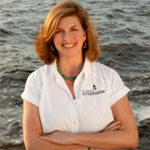 As the St. Johns Riverkeeper, Lisa is the chief advocate and public’s voice for the St. Johns River. Her responsibilities include: holding regulatory agencies and those polluting the river accountable; identifying and advocating for solutions that will protect and restore the river; working with government entities, businesses, community leaders and citizens to resolve problems that impact the river’s health; and communicating with the media and the public to educate and raise awareness about important river-related issues. As a former senior staff member for Jacksonville Mayor John Peyton, Lisa Rinaman has extensive experience building consensus around issues and helping implement numerous environmental initiatives and policies. Lisa was instrumental in leading the effort to develop and implement irrigation, fertilizer and Florida Friendly landscaping ordinances to better protect the St. Johns and local waterways. She also played a key role in securing state funding for water quality improvements, organizing the city’s successful Manatee Protection Plan, and pushing for programs necessary to fulfill the River Accord restoration plan for the Lower St. Johns River. Before being named the St. Johns Riverkeeper, Lisa served as a valuable member of the St. Johns Riverkeeper Water Policy Group (WPG), a group that advocates for water conservation and reuse and policies that are more protective of our water resources. Joe Sewards has lived in Florida for 28 years, first in Tallahassee, later in St. Augustine, and finally in Volusia County. His 12-year tenure with the University of Florida’s Institute of Food and Agricultural Sciences Extension has taken him to St. Johns County and Putnam County, and he landed in the Volusia County Extension office in 2013. His specialties are Florida Friendly Landscaping, sustainable gardening, low-impact development, and managing Master Gardener Program volunteers. 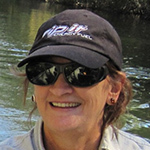 Deborah is the Vice President of the Aquatic Preserve Alliance of Central Florida, a citizen support organization dedicated to promoting and supporting charitable, educational and scientific activities that benefit the Wekiva-Middle St. Johns and Tomoka Marsh Aquatic Preserves. 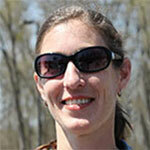 Deborah is a board member of the Friends of Wekiva and the Aquatic Preserve Society. She served as the Aquatic Preserve Manager for the Wekiva-Middle St. Johns and Tomoka Marsh Aquatic Preserves for over 30 years and was responsible for aquatic resource management on more than 20,000 acres of sovereign submerged lands that spanned nearly 70 river miles. Deborah was one of three recipients of the 2016 Jim Stevenson Resource Manager of the Year award, one of Florida’s highest environmental honors. The award recognizes individuals who are judged to have made the most significant progress in the stewardship of state lands. Deborah was the first aquatic preserve manager to receive the award. An avid art lover and painter, Deborah also serves as President of the Pastel Society of Central Florida. 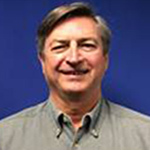 David Sumner has been a Hydrologist with the US Geological Survey for 35 years in Mississippi, North Dakota and, since 1991, in Central Florida. 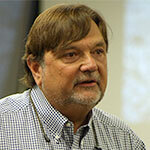 David is currently the Director of the USGS Caribbean-Florida Water Science Center. The Center is composed of a staff of about 200 Hydrologists, Hydrologic Technicians, and support staff distributed among six offices serving Florida, Puerto Rico and the US Virgin Islands. The Center maintains a large hydrologic data collection network for monitoring of stream flow, water levels, water quality, rainfall, and evapotranspiration and performs hydrologic studies focused on understanding of the hydrologic system. As Director of Water Resources & Utilities for Volusia County, Mike oversees the operations of 11 water systems serving populations ranging between 100 and 20,000. He leads a dedicated team of professionals responsible for ensuring reliable drinking water for customers; developing alternative water supply; and safeguarding natural resources through efficient and safe disposal methods. 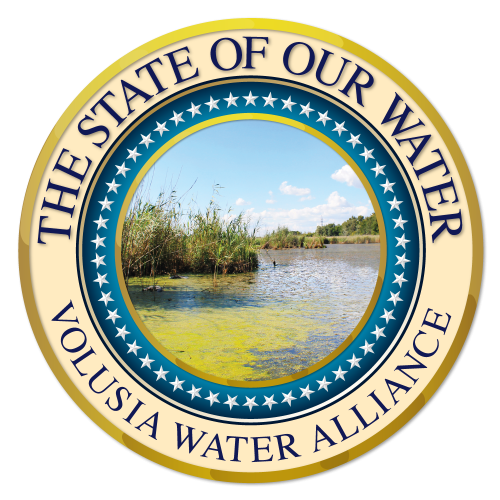 His team was recently honored as “2018 Wastewater System of the Year” by the Florida Rural Water Association for its advanced wastewater treatment and expansion project, benefiting Volusia Blue Spring. Mike received his Bachelor of Science from the State University of New York at Buffalo School of Management and his MBA from the University of Central Florida. Nancy Vaughn is an elected director on the board of the League of Women Voters of Volusia County, co-chair of the Natural Resources Action Team, and media outreach/PR coordinator for the League. She has been an active member since 2014 and in 2017 helped bring a solar co-op to Volusia County. 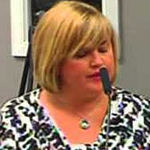 Nancy also sits on the Environmental Advisory Board of the City of Port Orange. Kirsten Work’s passion for aquatic ecology and conservation began at the University of Wisconsin, where she earned her B.A. in Biology, while working on fish predation studies. This training led to master’s research on sockeye salmon fry predation on zooplankton in SW Alaska and dissertation research on exotic zooplankton in southern Oklahoma. During her dissertation research, Kirsten also worked on side projects on cyprinid fishes and freshwater mussels. She earned an M.A. in Fisheries at the University of Washington and a Ph.D. in Zoology from the University of Oklahoma. 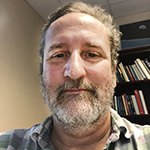 Before arriving at Stetson, Dr. Work did postdoctoral work with the South Florida Water Management District and Florida Atlantic University on the carbon dynamics of the Lake Okeechobee food web. This wide array of experiences has given her a broad perspective geographically and taxonomically. At Stetson, Dr. Work has worked on spring ecology, primarily at Volusia Blue Spring, with projects on algae, snails, fish ecology and the effects of invasive snails and fish on ecosystem function. She also has worked on the ecology of local lakes, as Central Florida is one of the areas of the country with the highest densities of lakes due to its karst (limestone) geology. In her courses, she regularly collaborates with students on community-based research projects in which students apply the knowledge they gain in class to real world problems proposed by local resource managers.